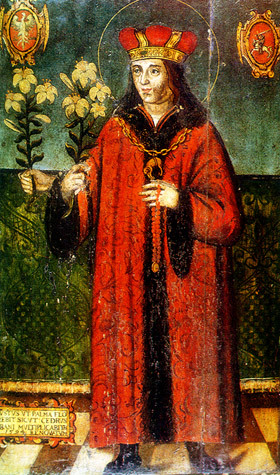 The three-handed painting of Saint Casimir is considered miraculous. According to a legend, the painter attempted to redraw the hand in a different place and paint over the old hand, but the old hand miraculously reappeared. The original painting was covered in gilded silver clothing in 1636 and is in Saint Casimir’s Chapel under his tomb . Prince of Poland, born in the royal palace at Cracow, 3 October, 1458; died at the court of Grodno, 4 March, 1484. 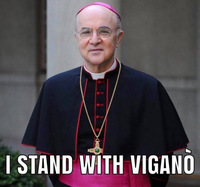 He was the grandson of Wladislaus II Jagiello, King of Poland, who introduced Christianity into Lithuania, and the second son of King Casimir IV and Queen Elizabeth, an Austrian princess, the daughter of Albert II, Emperor of Germany and King of Bohemia and Hungary. Casimir’s uncle, Wladislaus III, King of Poland and Hungary, perished at Varna in 1444, defending Christianity against the Turks. Casimir’s elder brother, Wladislaus, became King of Bohemia in 1471, and King of Hungary in 1490. Of his four younger brothers, John I, Albert, Alexander, and Sigismund in turn occupied the Polish throne, while Frederick, the youngest, became Archbishop of Gnesen, Bishop of Cracow, and finally cardinal, in 1493. The early training of the young princes was entrusted to Father Dlugosz, the Polish historian, a canon at Cracow, and later Archbishop of Lwów (Lemberg), and to Filippo Buonaccorsi, called Callimachus. Father Dlugosz was a deeply religious man, a loyal patriot, and like Callimachus, well versed in statecraft. Casimir was placed in the care of this scholar at the age nine, and even then he was remarkable for his ardent piety. When Casimir was thirteen he was offered the throne of Hungary by a Hungarian faction who were discontented under King Matthias Corvinus. Eager to defend the Cross against the Turks, he accepted the call and went to Hungary to receive the crown. He was unsuccessful, however, and returned a fugitive to Poland. The young prince again became a pupil of Father Dlugosz, under whom he remained until 1475. He was later associated with his father who initiated him so well into public affairs that after his elder brother, Wladislaus, ascended to the Bohemian throne, Casimir became heir-apparent to the throne of Poland. When in 1479 the king went to Lithuania to spend five years arranging affairs there, Casimir was placed in charge of Poland, and from 1481 to 1483 administered the State with great prudence and justice. About this time his father tried to arrange for him a marriage with the daughter of Frederick III, Emperor of Germany, but Casimir preferred to remain single. Shortly afterwards he fell victim to a severe attack of lung trouble, which, weak as he was from fastings and mortifications, he could not withstand. While on a journey to Lithuania, he died at the court of Grodno, 4 March 1484. His remains were interred in the chapel of the Blessed Virgin in the cathedral of Vilna. St. Casimir was possessed of great charms of person and character, and was noted particularly for his justice and chastity. 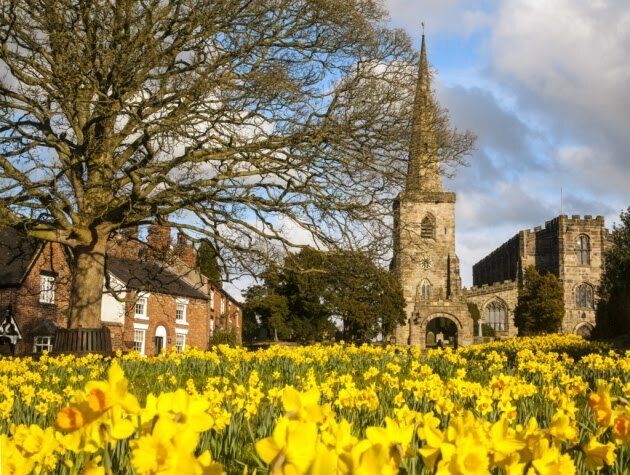 Often at night he would kneel for hours before the locked doors of churches, regardless of the hour or the inclemency of the weather. He had a special devotion to the Blessed Virgin, and the hymn of St. Bernard of Clairvaux, “Omni die dic Marix mea laudes anima”, was long attributed to him. After his death he was venerated as a saint, because of the miracles wrought by him. Sigismund I, King of Poland, petitioned the pope for Casimir’s canonization, and Pope Leo X appointed the papal legate Zaccaria Ferreri, Bishop of Guardalfiera, the Archbishop of Gnesen, and the Bishop of Przemysl to investigate the life and miracles of Casimir. This inquiry was completed at Turn in 1520, and in 1522 Casimir was canonized by Adrian VI. Pope Clement VIII named 4 March as his feast. 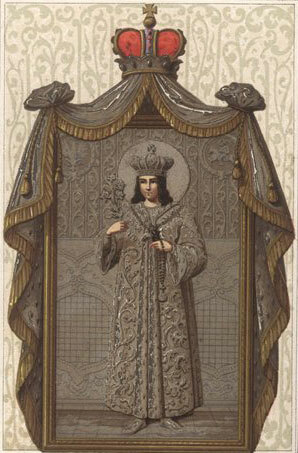 St. Casimir is the patron of Poland and Lithuania, though he is honoured as far as Belgium and Naples. In Poland and Lithuania churches and chapels are dedicated to him, as at Rozana and on the River Dzwina near Potocka, where he is said to have contributed miraculously to a victory of the Polish army over the Russians. 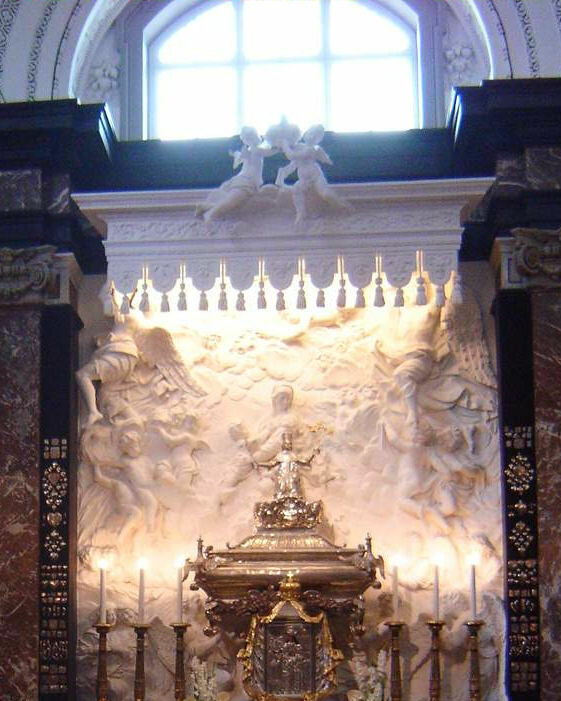 In the beginning of the seventeenth century King Sigismund III began at Vilna the erection of a chapel in honour of St. Casimir, which was finished under King Wladislaus IV. The building was designed by Peter Danckerts, of the Netherlands, who also adorned the walls with paintings illustrating the life of the saint. In this chapel is found an old painting renovated in 1594, representing the saint with a lily in his hand. Two other pictures of the saint are preserved, one in his life by Ferreri, and the other in the church at Krosno in Galicia. POTTHAST, Biblotheca historica medii ævi, Wegweiser (2nd ed. ), 1236; CHEVALIER, Bio-bibl., s. v.; ESTREICHER, Bibliografia poloka (Cracow, 1903), XIX, 210-12; PRILESZKY, Acta sanctorum Hungariæ (Tyrnau, 1743), I, 121-32; FERRERI, Vita beati Casimiri confessoris ex serenissimis Poloniæ regibus (Cracow, 1521) in Acta SS., March, I, 347-51; ST. GREGORY, Miracula S. Casimiri in Acta SS., March, I, 351-57; IDEM, S. Casimiri theatrum seu ipsius prosapia, vita, miracula (Vilna, 1604); CIATI, La santità prodigiosa di S. Casimiro (Luccoa, 16..); Officium S. Casimiri confessoris M. D. Lithuaniæ patrini (Vilna, 1638); COLLE, Compendio della vita di S. Casimiro (Palermo, 1650); TYSZKIEWICZ, Królewska droga do nisba albo zycie sw. Kazimierza (Warsaw, 1752); Sw. Kazimier, in Przyjaeiel ludu (Lissa, 1846), XIII; PEKALSKI, Zywoty sw. Patronów polskich (Cracow, 1866); PRZEZDZIECKI, Oraison de saint Casimir à la très sainte Vierge (Cracow, 1866); LESZEK, Zywot sw. Kazimierza Jagiellonczyka (Cracow, 1818); PALLAN, Sw. Kazimierz (Tarnów, 1893); PAPÉE, Swiety Kazimierz królewicz polski (Lemberg, 1902); PAPÉE, Studya i szkice z czasów Kazimierza Jagiellonczyka (Warsaw, 1907), 141-54.